Since my boys discovered the magic of Schleich toys in April of this year, we’ve become huge fans. Hero’s new found love of Schleich horses for his Disney Wild West Birthday party made me very happy as we’ve never had a horse fan in the family before and now I’m itching to build my own horse stables with him, haha. We had so much fun with the Schleich animals we were sent a few months ago and now we have the best playset we’ve ever come across in our house, the Schleich Big Adventure at the Watering Hole. It’s bigger than the previous Watering Hole set and is easy to assemble thankfully as I was alone with the boys when it arrived. Without doubt, the favourite aspects for the boys are the falling tree [Hakuna Matata scene recreations galore] and the fact that the set is just so lifelike. 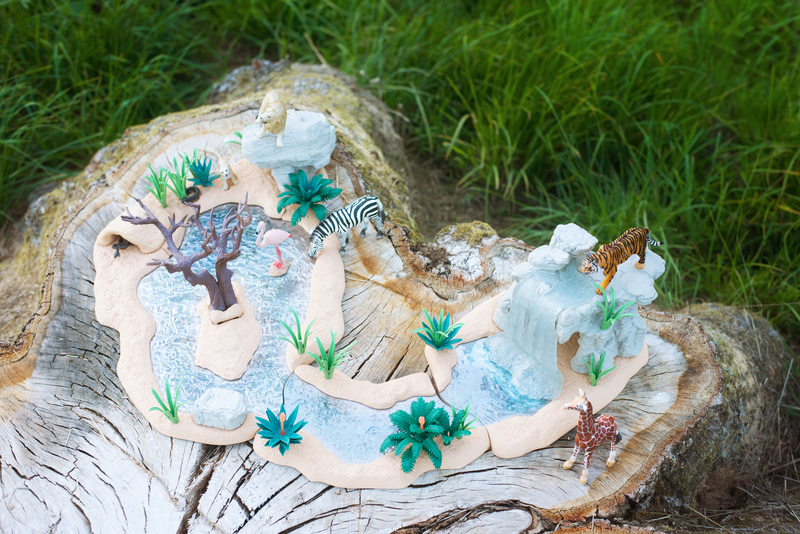 The attention to detail is fantastic – the hiding places, the waterfall – they LOVE the water and have been using the Little People Jungle Book Car and their Tonka vehicles to take other toys on safari past the watering hole, reminding their passengers not to get out of the car whilst on the reserve – because they will get eaten, even by a zebra if Hero is playing. As a mom, my favourite things about the Schleich range are that it’s just so versatile. Their imagination can run free and they can introduce other toys into the set for a different angle on their games – and the toys are so durable. You can feel the quality in them and I’m not worried I’ll turn my back and have a crying boy with a snapped plastic part in his hand because he’s gotten too enthusiastic with his game. 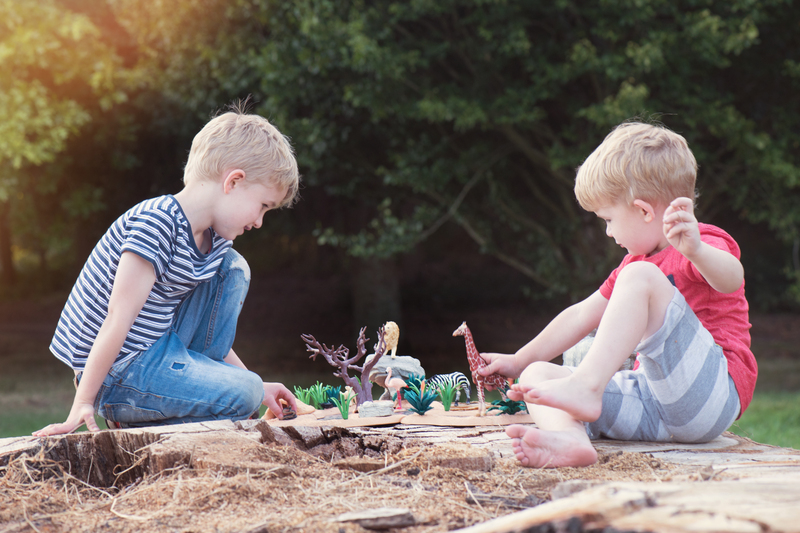 I wouldn’t hesitate to recommend toys like Schleich Big Adventure at the Watering Hole to anyone – we’re pretty late to the game and I’ve always ignored them in toy shops before I saw my boys huddled up with them in the stony border, completely lost in play. 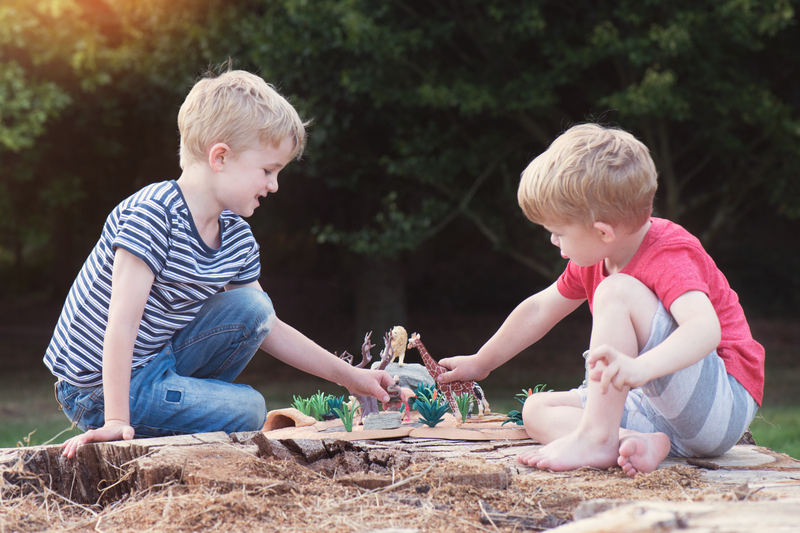 Now I wish I’d started our collection so much earlier – but the Schleich Big Adventure at the Watering Hole has given it a pretty amazing boost! 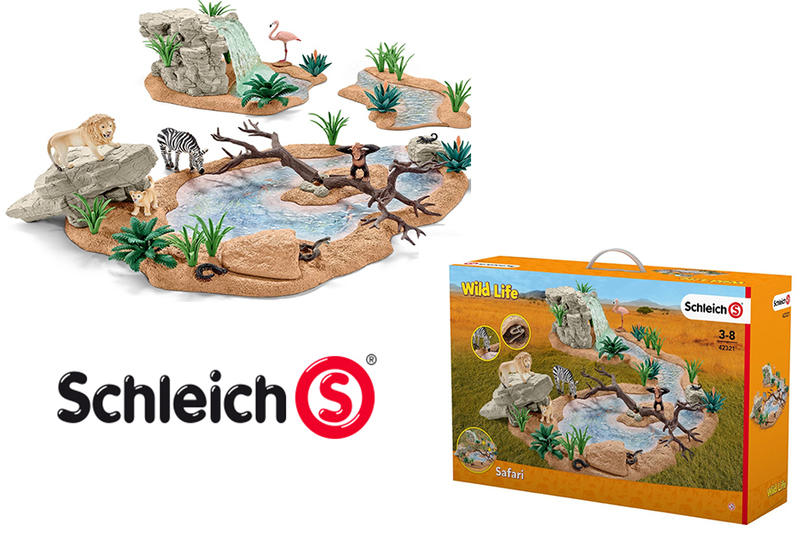 The Schleich Big Adventure at the Watering Hole set contains three main parts, plants to assemble and pop in the ground, hiding places and a waterfall. The animals are a lion, cub, flamingo, rattlesnake, scorpion, giant insect and zebra. Once assembled, the tree in the centre of the set parts so that the animals can cross – or get dangled precariously into the water! You can only imagine how many somersaulting animal shows I’ve seen.